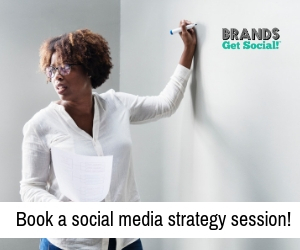 Crystal Shaniece Roman, CEO & Founder of The Black Latina Movement, LLC has used her personal experience with identity to fuel several creative projects that recognize and celebrate Black Latinas. From theatrical productions to a web series, blog, and speaking engagements, she uses her acting and production talents to challenge stereotypes and create a space for Black Latinas on stage and in film. Check out our recent conversation below! I read that your parents are Puerto Rican: your mom Black and your dad white. How was your experience growing up? My dad is what can be considered a White Latino. Both his parents were born and raised in Puerto Rico. My mom is a Black Latina, 2 times over in the sense that her father is Jamaican and her mom (my grandma) is an Afro-Puerto Rican, hence me saying a Black Latina twice over. Growing up was a blend of both worlds. My mom and dad made sure I was fully emerged in both cultures. There were occasional incidents of internalized racism from both sides of the family concerning hair, skin tone, etc., here and there, but my mom was quick to “set anyone straight” about that kind of nonsense around me, if and when it did occur. Other outright experiences often came from the world, outsiders. When did you first begin identifying as a Black Latina? What inspired you to embrace this identification? I knew I was a Black Latina from youth, but I hadn’t articulated it, in that way or used the term until 2008. Once I started to use it I felt so empowered and proud to have a title/label that I approved for myself, instead of using ones that were given to me. I was always taught to embrace myself, but I realized oftentimes–especially in my industry– that many people were not familiar or comfortable with a “mixed” person. Moreover, those in positions of power wanted what is to be considered a “typical” look of a Black woman or Latina for most roles. So I was pushed to educate (myself) more on my identity, how I embrace it and how others like myself do as well. What led you to establishing The Black Latina Movement? The Movement was created through frustration of wanting to see more roles for women like myself and being upset with being pigeon-holed into roles that may be real, but don’t show the variety or depth of Black and Latin women. What is the current status with Black Latina the Play? We just got back from touring in the North East, at colleges such as Penn State and CCBC (Community College of Baltimore County). Now we are back tweaking and expanding the show for our 2015 season. 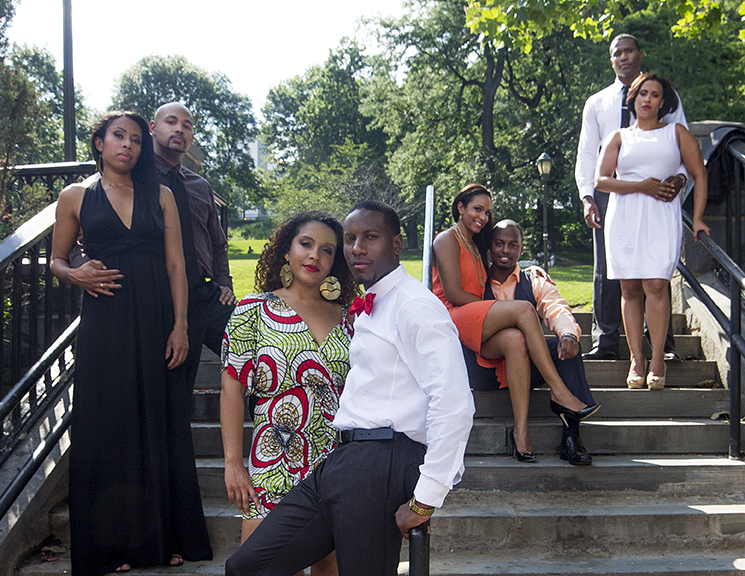 In 2014 you launched your web series, “The Colors of Love (TCOL),” which originally began as a play. What is the concept behind TCOL? I created TCOL for everyone. Although, visually it is to show people of color in leading roles, I especially wanted to show couples of color and the universal relationship issues anyone can face. So I show healthy couples of color and although they do have problems like most do, I address certain stigmas. For example, with one of the couples the husband wants to expand their family and begin having children and the wife does not. I intentionally reverse gender stereotypes because oftentimes in society Black men are not shown as family-oriented and ones to want to have children. And with the wife in this particular couple I wanted to show that not all women, especially Latinas, want to just pop out babies the way we are constantly portrayed. Watch the trailer for this entertaining web series and then check out the first 5 episodes. What can viewers look forward to with this web series? How many episodes do you plan to release? This Season of TCOL is all about the introduction of the primary 8 characters, what is going on in their lives, how their problems began, and how love is handled in different walks of life. The couples range in age: the youngest being in their early 20’s to the more mature couple in their mid 30’s. They vary in professions so the experiences of love within themselves will cover a huge field. Season 1 is really the build for a juicier Season 2, which we are currently in pre-production for. We have 5 webisodes currently released and plan to release another 6-8 within the next weeks. What’s been the most memorable experience with The Black Latina Movement? Is the work rewarding? I can’t give just one memory, because there are so many. What I can say is whether it’s a show in NYC (our home) and audience members come up to us with their feedback; to meeting those who actually traveled by car from Boston or flown in from Atlanta; to listening to college students (when we go on tour) tell us our work changed their views and lives; those moments make it beyond rewarding. We all have a purpose and to move others with my art and words still gives me chills. What do you hope will happen when people experience the art (plays, web series, blog) that you create with The Black Latina Movement? Art is a form of expression to be digested, as it feeds the mind. I always want to provide food for thought. My desire is for a person to read our blog or watch one of the plays or series and hopefully it evokes something within them. 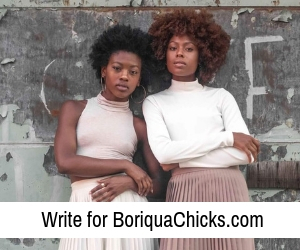 How can our readers stay connected with The Black Latina Movement? BLM is pretty much everywhere. Readers can follow us on all of our social media outlets to stay abreast of our projects. Also, our website is our go to place for everything. Connect with Crystal and The Black Latina Movement at the channels below. I respect that u are a pioneer for the movement Mrs. Crystal Roman I myself haven’t really been around or had the pleasure of being around Afro Latin people. I truly think that they are some of the most proud and beautiful people out there. Keep up the amazing work u are doing.